The last piece of concept art I did for the group project. 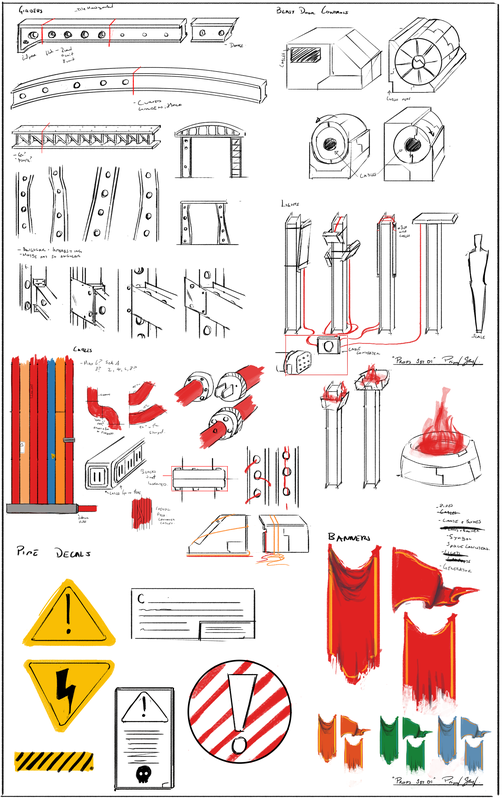 Just designed some miscellaneous props that we may need. I ended up modelling just the girders and the flags. Check out the final girders here and the environment here.